A mini storyboard of the scenes to realize. A script of what you are going to tell. > Only take videos, images, music free of rights or which you own. > Make short videos: between 2 and 3 minutes is good for a business presentation, between 3 and 5 minutes for a tutorial or a product presentation, beyond 5 minutes, you will lose half of the people. > Compress your final video in HD quality (at least 1080p) before sending in mp4 format. It will go faster, and the image will not be degraded to broadcast. 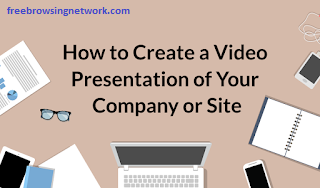 Comment on "How To Create A Video Presentation Of Your Company Or Site Via Tech-Editor-Pro App"